Principal Cast : Peter Sallis, Sally Lindsay, Ben Whitehead. 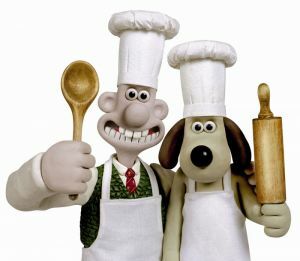 Synopsis: Wallace & Gromit meet celebrity chef Piella Bakewell, who is mixed up in a series of mysterious baker deaths. What we think : It’s great, but not brilliant. While it does contain plenty of Aardman’s traditional comedy, subtext and hidden nuances, Loaf & Death lacks the same spark as, say, The Wrong Trousers (still the duo’s magnum opus, IMO), although in saying that, it’s still a damn fine short film. 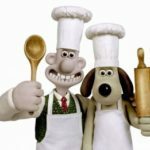 Hi folks: this is just a quick review of the newest short film from Aardman Studios, featuring the mega-star duo of Wallace & Gromit. Entitled A Matter of Loaf and Death, it recently had it’s world premiere here in Australia on the government run ABC network, otherwise known as Channel 2. I thought I’d quickly give you my thoughts on it, given that I was unable to find any decent reviews anywhere else. A Matter Of Loaf And Death is a wonderful entry into the Wallace & Gromit canon, given their last screen outing was the feature film The Curse Of The Were-Rabbit, which in itself was incredibly cool. I have an unashamed passion for Wallace & Gromit, and will tell anybody who asks. Honestly, I felt their adventures peaked with The Wrong Trousers, the short film they starred in in 1993, which, to my mind, is the single greatest stop-motion animated film I have ever seen. To this day, I think the Penguin is one of the screens great Bad Guys, with Aardman and director Nick Park managing to create a truly malevolent character from a creature that never once utters a single word, nor has any expression on its face at all. Pure genuis. A Close Shave, the duo’s third short (the first, being A Grand Day Out) was also amazing, although perhaps not at the same level of comedy, even if Park and Co were pulling out all the stops. And with the success of the feature film, it was only a matter of time before Wallace & Gromit again made it onto our screens. And have they ever! 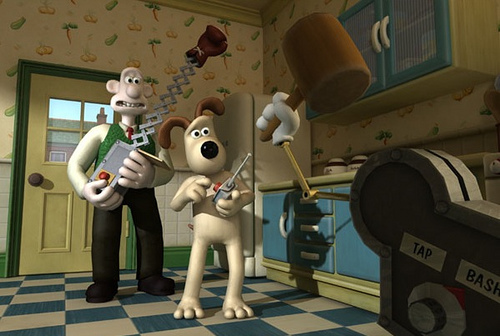 I won’t go so far to say A Matter of Loaf And Death is the best Wallace & Gromit episode ever, and it does have it’s flaws, but overall it’s a heck of a lot of fun, and is ultimately a shoe-in for any kind of awards you care to mention. 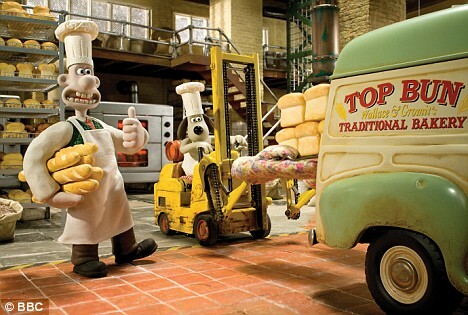 Wallace & Gromit have swapped their pest control business from the feature film for a bakery business this time around, making loaves of bread for the local population. However, when dozens of local bakers are brutally murdered, Gromit suspects that Wallace’s current romantic interest, Piella Bakewell (Piella, gettit?) is involved. Her small dog, Fluffles (which is an exact match for the outline of the dog seen on the box Gromit hides in to escape notice of the Penguin in The Wrong Trousers) seems to be a little reluctant to do much of what her owner asks, and is often kicked and prodded to achieve the end result. Of course, Wallace is oblivious to almost all Piella’s overtly overblown intentions, his brain switching to the same neutral gear he employed when confronted with Lady Tottington in Were-Rabbit, and Wendolene from A Close Shave. Gromit, however, suspecting more devious machinations behind Piella’s actions, goes into detective mode to find out the truth. Who is killing all the towns bakers, and why? For the film enthusiast, there are references from other films thrown in that will make you laugh out loud. Psycho is referenced in one particularly creepy scene, as is Aliens, and you’ll have plenty of fun spotting them all. The script is perhaps not quite as snappy as previous Wallace & Gromit shorts, with some strangely bizarre lulls in humour that result in the film taking a more serious tone than we’ve encountered before, however, this being Wallace & Gromit, it’s still a great way to entertain yourself. No doubt different audiences will appreciate the film’s humour in different ways. 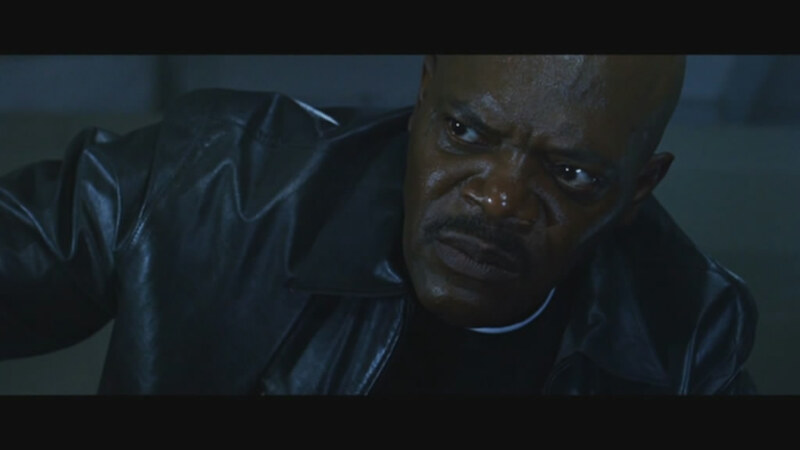 As the film is debuting on English TV on Christmas Day 2008 (from what I can gather…. if that’s wrong info then please correct me!) I found it amazing that finally, Australia could boast a world premiere for a show made in England, and featuring a decidedly English humour before anybody else. Nick Park puts the finishing touches on Piella Bakewell. A Matter Of Loaf And Death is not without a significant flaw, however, and it’s this: the film is a little more subtextually violent than any previous W&G adventure: even A Close Shave’s sheep shaving machine still had a slight touch of whimsy about it. Here, when Piella and Gromit have a little tete-e-tete, and things get a little angry about the place, there’s a weird lack of glint-in-the-eye humour that made previous episodes so humorous. The characters are well developed, and the music and effects are top notch, but there’s a pall of ill-tempered feeling about the film that was slightly off-kilter. That’s not to say the film felt rushed, or badly written, or something. I’m not sure why, but it just lacked the zesty spark I’ve come to expect from the worlds greatest cheese lover and his dog. The usual series’ cliches are there: Wallace’s whacky get-out-of-bed mechanisms make a welcome return, and the relocation of Wallace’s house to a Quixote-like windmill residence is absurdly brilliant. Gromit again does his best to put up with his masters ineptitude and incompetence, although there’s a moment there where Wallace’s blithering ignorance of the facts was amazingly obtuse, and almost going against the character I’ve come to admire. Still, one got the feeling that it was that way to serve the story, which, honestly, was a slap in the face from Nick Park, director of the piece. I always felt that the character dictated the story, rather than the other way around, and in this case, it’s a shame to see Wallace reduced to such a bumbling neanderthal in so short an order. Overall, though, A Matter Of Loaf And Death is a ripper yarn of revenge, (isn’t it always!) and dogged (ha!) persistence by Gromit, that will entertain kiddies of all ages, even the older ones. While not a patch on either Wrong Trousers or Close Shave, which I consider the pinnacle of the character’s adventures in terms of complete entertainment packages, A Matter Of Loaf And Death is still a worthy entrant into the series’ canon, and if this is as bad as it gets, then that’s not too bad at all. Splendid entertainment, and heartily recommended to find on DVD at some point in the future. Excellent. Sounds good. Now I wish I'd seen it on TV when it was on. Knowing the ABC, it'll probably be out on DVD before they screen it again….. He is a genius!!! can't imagine that clay can possess such life!!! the expressions of gromit are beyond words!!!! Dear Sir….i am a big fan of urs!!! !